Whether you run a series of residential/commercial houses or you are just a homeowner in Singapore, it is highly important to make sure that all your drainage pipes and the entire sewerage systems are always functioning well. In other words, you have to make sure that your plumbing system does not create any challenges whatsoever. Unfortunately, since there is nothing that works perfectly for the rest of its life, sometimes drainage pipe(s) and sinks become clogged. In the event that this situation occurs, it may cause water clogging and release of bad odor, which can be a potential to ailments and other associated health problems. Needless to say, when there is a high water pressure, there is a high tendency that water pipes might develop cracks, which leads to water leakage. Indeed, water leakage makes your premise/house look dummy, hence not a conducive environment for living. In fact, the occurrence of any of above problems leads to frustrating conditions, hence an immediate solution and action is imminent. Now, when faced with some of the plumbing challenges, what are you supposed to do? Well, one of the immediate solutions to any plumbing problems is, of course, trying to fix it yourself. However, this solution might not be sufficient due to several reasons: you might not be having the right plumbing tools/equipment; you might not have any experience whatsoever in dealing with pipes, and many more challenges. In fact, you might make the problem worse! 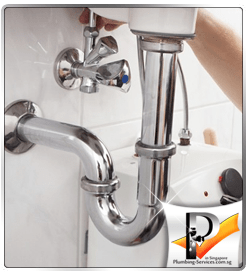 Fortunately, one of the ultimate solutions is none other than hiring the services of a professional and reputable plumbing company in Singapore. In other words, plumbing experts have undergone extensive training to deal with any plumbing problems making sure that your plumbing system(s) works properly. Nonetheless, in Singapore, there are hundreds and thousands of plumbing companies. Due to this high number of companies, each promising to offer attractive services and fair packages, it becomes quite challenging for individuals planning to hire plumbing services. 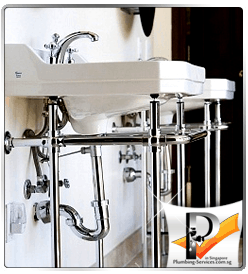 As a matter of fact, it is quite hard to choose one of the best plumbing company among a list of highly reputable companies. It is quite impossible to predict with certainty the time when your plumbing goes weird! In the event that it goes wrong at odd hours (such as at midnight or during holidays), the consequences are always disastrous if you cannot be able to fix it yourself. Therefore, the ultimate solution at that time was to get an expert plumber as soon as possible to rectify the situation. In simple terms, you need an emergency plumbing service! However, there are very few plumbing companies in Singapore willing to offer that kind of service. Nevertheless, the good news is that there is light at the end of the tunnel: plumbing-services.com.sg offers an ultimate 365/24/7 operation. Just get your phone and give them a call, and their professional experts will be there at your doorstep in the next couple of hours. 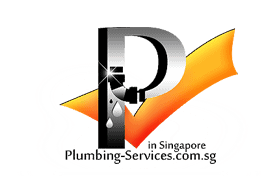 One of the aesthetic virtues of the plumbing-services.com.sg is that their packages are quite attractive and their rates are highly affordable. In most cases, the rates charged depend on the nature of plumbing work and the extent of the work done. In general, there’s no other plumbing company in Singapore that offers special rates at the expense of perfect work done than the above company. 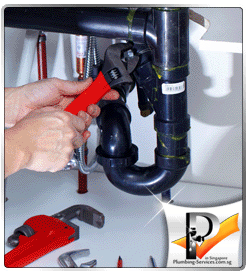 Plumbing-services.com.sg is considered as the home of highly trained plumbing personnel. In most cases, all our plumbers are subjected to extensive training program(s) that equips them with a vast knowledge on how to deal with all kinds of plumbing procedures-from installation to repairs. Apart from mandatory training, our plumbers often attend objective training just to make them aware of new plumbing advancement in the market. Therefore, whenever you hire any plumber for us, be assured of receiving high and quality services that lacks comparison. 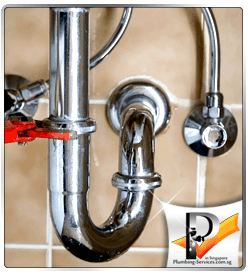 We are in possession of the right combination of some of the latest, finest, and the right plumbing tools necessary for fixing any kind of plumbing service in your premise/office/home. In other words, we do not use the normal and standard tools/equipment, but we are proud to tell you that we use the state-of-the-heart plumbing devices, which makes sure that all types of plumbing problems/jobs are done in an effective and efficient manner.